Rondelles all over the place. Metallic, opal, transparent, AB finish, matte finish, luster finish and on and on. A nice selection of those beautiful spiral, or cinnamon bun beads too. Lots of colors and sizes from which to pick. 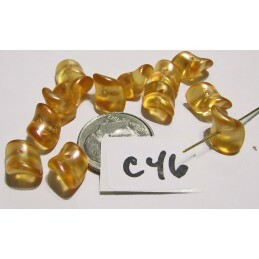 Czech Glass Beads - Rondelles There are 6 products.